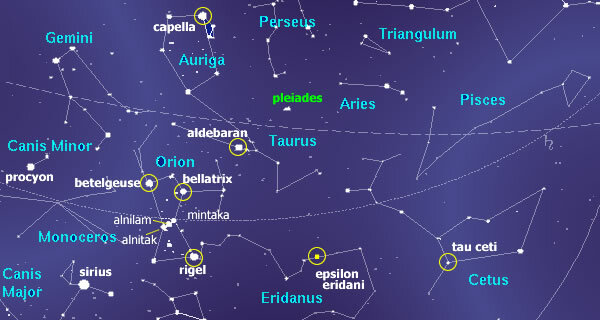 Aldebaran (Alpha Tauri) is the alpha star of the constellation of Taurus. It is approximately 65.1 LY away from us. Note that there are - thus far unconfirmed reports - of a possible brown dwarf companion, in which case Aldebaran would be a binary system. (See e.g. 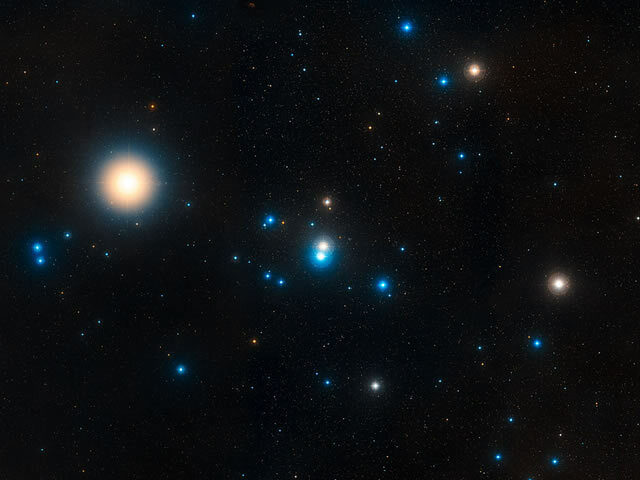 : www.solstation.com/stars2/aldebaran.htm). The contact case of Martin Wiesengrün mentions names of two planets in the Aldebaran system. They are Arian and Uru. The Aldebarans are generally believed to be humanoid species, mainly of the Lyran Caucasian group, and thus genetically related to the Lyrans, Pleiadians, and some of the Sirian races. They are said to frequently interact with these species. while others -like Branton, Matthew and cyberknight- claim they are part of the alternative 3 group. (Then again, Branton, Matthew and Cyberknight may very well be quoting each other). In the Omega-files, Branton claims that a group of "renegade Pleiadians / Aldebarans" have joined the Draconian Empire. According to B. Hand Clow, the Aldebaran energy is very musical, mathematical, harmonic, and is right brain oriented. This topic was copied from the HyperBase and has partly been revised.